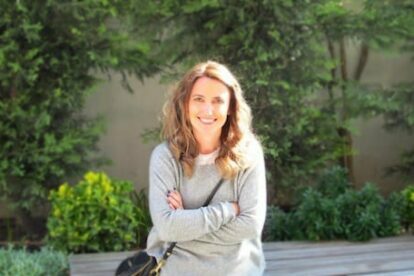 Today an interview with Sebahat Gumusalan Tezcan, Spotter for our Istanbul Cityblog. We met Sebahat for the second time in Istanbul 2 days ago! I have a bachelor’s degree in Political Science and International Relations. Politics and international relations are both human and relationship sciences, right? Then I have a Masters degree in Marketing and Human Resources Management. I believe marketing is soo much more about ‘humans’ than the ‘product’. I worked several years in banking and finance sector, mostly in Istanbul, and for some time in London. Always either on front line Client Relation Management roles or Headquarters Marketing and Communications side. I also had some part time jobs during my university education and after, like being a cabin attendant in an international airline company, traveling internationally and writing for a travel & lifestyle magazine published in Turkey, etc. In the meantime I attended innumerable courses and seminars in different countries, not only on finance, and marketing but also on Wine and Viticulture, History of Medieval and Modern Art, Italian Culture, Driving on Ice Experience Courses etc. I speak 5 languages including English, Italian, Spanish, German. I love travel, meeting new people, discovering new places, and reading, reading incessantly. These dots have all been connected at a point and I have decided to be a ‘Coach’ while at a dinner with a friend of mine who happens to be one of the prominent figures in the Coaching environment in Turkey. That dinner was on a Friday night, next Thursday I was on a flight to the US for Co-active Coaching Courses. Now I am an ‘Executive and Life Coach’ with more than 1500 hours of experience. I also give training seminars on subjects such as Solution Selling, Emotional Psychology, Leadership etc. Well, as you might have understood from the lines I was telling about myself being a spotter suits me like a glove. I love traveling, discovering and sharing. And Istanbul, where I was born and raised, is such a city that never ceases to evolve and change. Here in Istanbul there are so many things to discover and awe at, that a lifetime would not suffice! I discovered Spotted by Locals in 2009 while I was exploring the web to prepare for my upcoming Brussels visit. And when I tweeted an appreciative note for the quirky spot I found through Spotted by Locals tips, Bart and I connected on twitter. When Spotted by Locals launched Istanbul, I of course did not miss the opportunity to become one of the spotters. A perfect day should start with a perfect breakfast. Depending on the rest of your wining and dining plans for the day, it might be a comprehensive one, may be a superb brunch in a place with a panoramic Bosphorus view. Though without a view, but with a historic soul, I love brunches at the Four Seasons Hotel in Sultanahmet. A light and not to miss option for breakfast in Istanbul is Simit, a bagel like bakery, with some cheese to your liking. My fave combo is Simit with Feta Cheese. Did you know that many Turks believe that Feta is a Turkish Cheese? Though I do so love feta cheese, I kind of believe it is of Greek origin:). 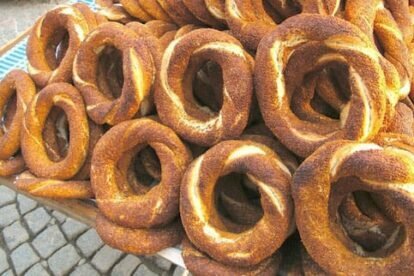 Of so many simit stalls in Istanbul I have some ‘personal’ favorites. I prefer the ones in Nisantaşi, and Teşvikiye, many close to each other. One of the safe bets is the one on the corner of Valikonağı Street and Abdi İpekci Streets, in front of the big Vitra store. 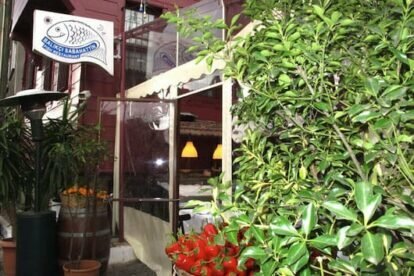 I also like simits sold on Bagdat Caddesi, and Bebek neighborhood. There are also many Simit Cafes, and Salons; but the real deal is on the streets. If I happen to be in Nisantası I always stop by Guven Kuruyemis for a stock of freshest and best quality nuts and dried fruits, a bag of which I always carry with me for in between the meals cravings. Nisantasi is the other name of luxurious shopping, mind you. So window shopping is a must around. If tempted for real shopping I would never skip Derishow‘s store on Abdi İpekci Street. A perfect day for me would include a visit to my favorite sight of Istanbul: Hagia Sophia (pictured above). Especially in the morning before it gets crowded. Spending some time both in front of, and in the building. Experiencing its subtlety and historic whispers. 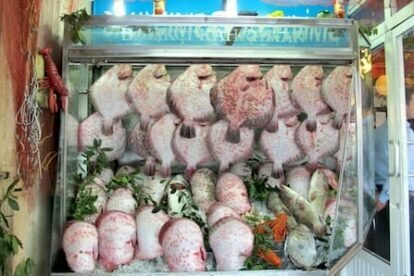 If you have not planned a fish based dinner Balıkcı Sabahattin can make a nice fish lunch alternative after a stroll in buzzing Kapalicarsi, or a visit to The Istanbul Archaeology Museums. Another alternative not to missed would be taking a ferry to the Anatolian Side, that is crossing the Bosphorus for another continent, a lovely experience unique to Istanbul, the city on two continents. If lunch is at the Anatolian side, another experience not to missed would be eating at Ciya at Kadıkoy Carsi, and then a pit stop for coffee at Fazıl Bey’in Türk Kahvesi. In the afternoon spending some time at Salt in Galata or Istanbul Modern in Fındıklı, the latter with a nice view, would add cool, modern urban notes to your day. Depending on the weather, and on what you had for lunch, Balikci Kahraman in Sarıyer, Rumelihisarı neighborhood would be an experience to remember. Don’t forget to take a walk in the charming neighborhood, named for the castle fortress in its midst, including a labyrinth of historic homes. Like many neighborhoods in the area, the steep hills mean many homes are afforded a waterfront view. A city is more than simply the sum of its physical and human components. It’s also an abstract entity, an imagined space. To have a reliably comprehensive version of Istanbul do not forget to ‘flâner’ as much as you can. If you are, or if you are willing to become, a ‘flâneur’, that is a wandering city-dweller whose mind delights in the seductive objects the street offers his contemplative gaze, Istanbul simply is a never-ending inspiring story. Check out all other articles by Sebahat Gumusalan Tezcan and our other Spotter interviews.